We have a lot going on this week. Erin Drummond begins teaching her 6-week series tomorrow, Monday Jan 21st at 4:30pm, and this Friday Alanna is teaching a very special Bedtime Family Yoga from 7-8pm. You can learn more about it from this short video Alanna created. Please note that Pat will be teaching Pilates for Deb this Wednesday. For those of you who miss practicing with Pat this will be the perfect time to catch up with her. Hope to see you on the mat soon! In January, Jacque introduced a new Nia routine: Source. You can read about this and Jacque’s explanations about what makes Nia such a unique form of movement here. Hopefully many of you have already experienced Nia classes with Jacque and know firsthand how inspirational they are. If you’re looking for more information on Nia you can check out the beautiful Nia website. 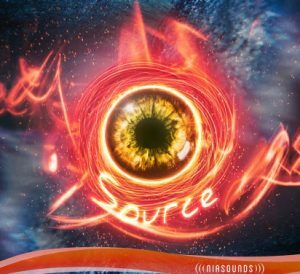 If you’re looking for more information on Jacque check out her personal site. 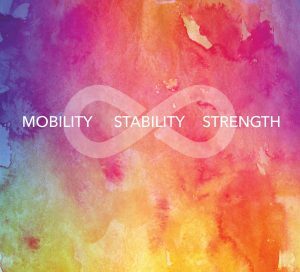 Join Erin for a unique 6-week series including elements of Hatha and Vinyasa Yoga. Experience asana, pranayama and meditation. Riding the waves: yoga of conscious transformation. Fire in winter: yoga for revitalization. Erin first got very into yoga while living in Brooklyn nearly fifteen years ago. It stirred her out of a deep depression and she went on to study intensively and become a teacher at 7 Centers Yoga Arts in Arizona, training in the lineage of the Bihar school, with additional study in Kundalini and Ayurveda. She has continued her studies and teaching in the years since, along with working as a freelance modern dancer and choreographer. She holds an MFA in Dance and currently directs the dance program at Winona State University. Jan 9th is a free class, please register by calling 507-453-7941 in advance to hold your space. SomaYoga: Somatics is a way of re-educating the way our brain senses and moves the muscles. Soma Yoga brings this wisdom into our yoga & meditation practice. Chronic tension patterns change as the body regains its innate ability to self-correct to ease and efficiency. These practices promote agility, equanimity and quiet mind. Suitable to all individuals with various physical abilities and conditions. Cost: $15 a family up to 4 people. $5 per extra person. *Registration required call 507- 453-7941 to reserve your place today. Did you know that self soothing yoga postures can reduce bedtime stress and help your children sleep better? 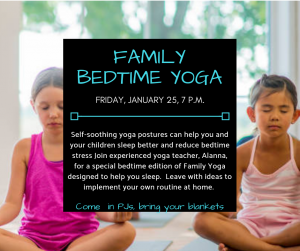 Join experienced children’s yoga instructor Alanna Pelowski for a very special edition of Family Yoga. You’ll leave ready for a great night’s sleep and everything you need to create your own bedtime yoga routine at home. Come in your PJs, bring your favorite blankets and pillows. 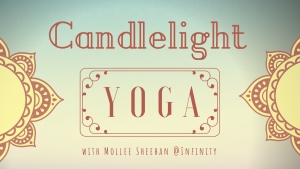 Monthly Candlelight includes a gentle yoga sequence designed to calm the nervous system, heal stress, and shift into a more relaxed state. 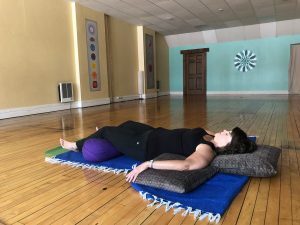 This 90-minute class includes an additional practice such as meditation, mantra, yoga nidra, energy work or breathing practices. Space is limited. Please RSVP at 507-452-1815.